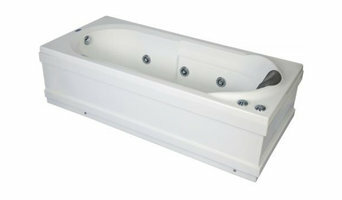 Retailer of bathroom tiles, bathroom fittings and bath cabinets and accessories. Distributors of Imported Bathroom Tiles, Unique Washbasins, Bathroom Fittings, Bath Accessories in Delhi NCR. 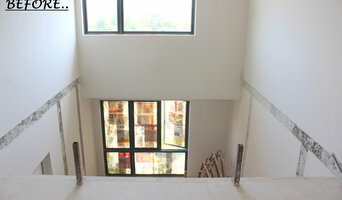 Our 12000 sqft showroom in Gurgaon has the most latest and premium collection of bathroom products. We are one of the prominent manufacturers and suppliers of modular kitchens. The new manufacturing facility is equipped with state-of-the-art manufacturing amenities with selected imported machines from different parts of the world. At our showroom you can you to choose from a vast selection of designed Italian modular kitchen to hybrid modular kitchens and even our own manufactured Indian modular kitchen. We have various different options totally depending upon the budget of the client and provide our collective services with strict adherence to functionality and aesthetics. Every customer get the same level of commitment and service from us at all times. Our firm provides professional interior design services to transform spaces as per the client's personality , taste and style of living. Our aim is to help the clients bring their conceptual designs into life. Where and how you live reflects who you really are. Our design process involves planning, design concept, design development, documentation, bidding & negotiation and implementation. We believe that the best acknowledgement of our success can be found in the strong relations we have formed with our clients. Repeat business forms the growing majority of our business. LET'S MAKE SPACE FOR SOMETHING NEW It's not every day that we design a kitchen for you. So we'd rather make it special. This means we being all ears to understand you, your needs and your day. The usual and those unusual ones. And then making space to accommodate all that matters to you. Like a safe cabinet to keep your precious family crockery. Or then a breakfast table that can turn into a dimly lit midnight binge station with your little one? Pour out everything on us. And help us let you experience it. WHO WE ARE? Arancia is bringing a complete range of modular kitchens focussed on Indian requirement of Customised Kitchens. The brand is launched by Evershine & Olive Group which has been involved in the modular kitchen industry since last 15 years. Today, the Evershine and Olive Group is name to reckon within the modular kitchen industry. Driven by passion and steered with unflinching professionalism, the group has earned laurels by ensuring finest quality standards in each of its products. The true strength of the group lies in its competent management, with has successfully foreseen the future of the industry and set the group on the path of rapid success. With keen focus on addressing the needs of the Indian households in the best possible ways, the group has invested heavily in state of the art European manufacturing facilities that is capable of meeting tough demands. The group has maintained high levels of quality of the raw material used. After ensuring the excellence of the products, the group focused on establishing pan India network of proficient and enthusiastic dealers. After successfully achieving deep penetration in Indian households with its premium range of modular kitchens, the group has gained significant understanding of the needs of the kitchens in Indian homes. Leveraging this expertise, the group has developed Arancia Kuchen, an exclusive range of modular kitchens. Thus, Arancia Kuchen comes with deep insights of Indian needs and wider expertise. MISSION We will achieve our vision by pursuing Cost, Quality & Customization. Further, we will keep on upgrading our state of the art European manufacturing facilities, strengthen ties with suppliers and expand market reach by establishing network of franchisee partners, who are already involved in modular kitchen industry. VISION To be a market leader in the modular kitchen industry by providing international products customized for Indian requirements and affordable to masses. I have my own business of Modular Kitchen and Wardrobe and also we provide Interior Design and Construction Services. Wonder Spaces initially entered the market with Modular Kitchens and now offers Wardrobes, TV Units, Bathroom Vanity Flooring etc. 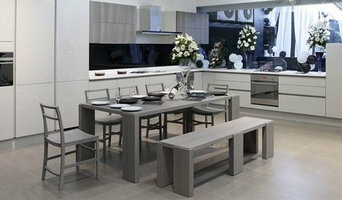 Hello, Everyone we the are the best kitchen solution and manufacture services provider. We are offered some items like home and kitchen accessories are designed using best quality of steel and most advanced technology kitchen accessories. Lotus sinks has made distinguished manufacturer of kitchen appliances and we are prominent dealers of lotus brand stainless steel sinks in Delhi India. 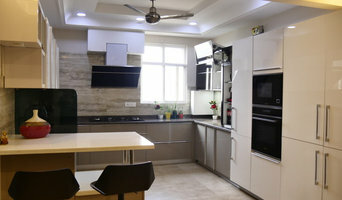 Why do I need a professional who specializes in kitchen and bathroom renovation and design in Delhi? While looking for Delhi bathroom remodeling contractors or kitchen renovation experts you may often find professionals who specialize in both rooms. This is because these space have a lot in common. Kitchens and bathrooms include an abundance of fixtures that require careful planning and installation, including sinks, faucets, tubs and toilets that all need water hookups and drainage. They also use similar materials, such as tile and stone for countertops and flooring, due to the nature of their use. So it makes sense that professionals who works on the kitchen remodel and design also works on the bathroom construction or redesign. What do Delhi kitchen designers or bathroom remodel professionals do? Bathroom designers, as well as kitchen designers in Delhi, are constantly staying on top of trends in the ever-changing industry. The designers know the best layout for your room, and can configure the layout for optimal functionality and utilization of the space. In the kitchen, the refrigerator, stove, and sink should be laid out in relation to one another, and it should be seamless and easy to move from one to the other. A kitchen and bathroom designer in Delhi will know how to work with a contractor and architect to plan the flow of the room to work best for your needs. Most bath & kitchen renovations involve architectural plans from page to reality; these contractors are also trained to provide design services so that you don’t have to hire a separate pro. Like a general contractor, a Delhi kitchen and bathroom remodeling contractor is responsible for hiring and supervising subcontractors and providing materials when necessary. Find a bathroom and kitchen designers and renovator on Houzz. Narrow your search in the Find Pros section of the website to bathroom and kitchen designers in Delhi. You may also look through photos of spaces to find kitchens or bathrooms you like, then contact the bathroom or kitchen designer who worked on it.